March is “Disability Awareness Month.” In this connection, Leap Managed IT focuses on partner Future Choices. Their leadership centers on the success of people with special needs. Inspired by passion to create opportunities for minorities and people with disabilities. Future Choices helps to enjoy a full-fledged life of independence in an integrated and safe community. Information and Referral Services assist individuals connect to the resources they need to develop skills needed for Independent Living. Independent Living Skills – Life Skill Training Services include instructions to develop a person with disability for independent living. Skills in areas such as personal care, coping, financial management, social skills and household management. This may also include education and training necessary for living in a community. Advocacy and Legal Services assist in obtaining access to an individual’s benefits, services and programs to which he or she may be entitled. Peer counseling includes information sharing, counseling, teaching and similar kinds of contact provided to consumers by other people with disabilities. Transition Services facilitates the period of change for people with disabilities from nursing homes and other institutions to home and community based living. They also facilitate the transition of youth with disabilities into higher education. Through various activities that assist people with disability, develop knowledge and skills for effective future and empowering their families is Future Choices advocacy. 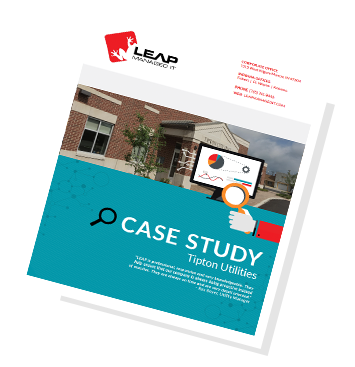 Together with Leap Managed IT, as partner in IT Solutions, assisting Future Choices in 7 counties in the Indianapolis area. LEAP Managed IT and Future Choices share a common core of the power of empowerment. Furthermore, achieving the positive through focus and tailored solutions, Future Choices and Leap Managed IT continues to thrive for excellence in their respective fields. Social protection plays a vital role in realizing the rights of persons with disabilities of all ages. Therefore, it is important that adequate information and assistance to make the lives better. Future Choices paves the way to a better future, where there are choices and promotes independence. Finally, for more information, visit www.leapmanagedit.com today!